This is a small map without a special theme. 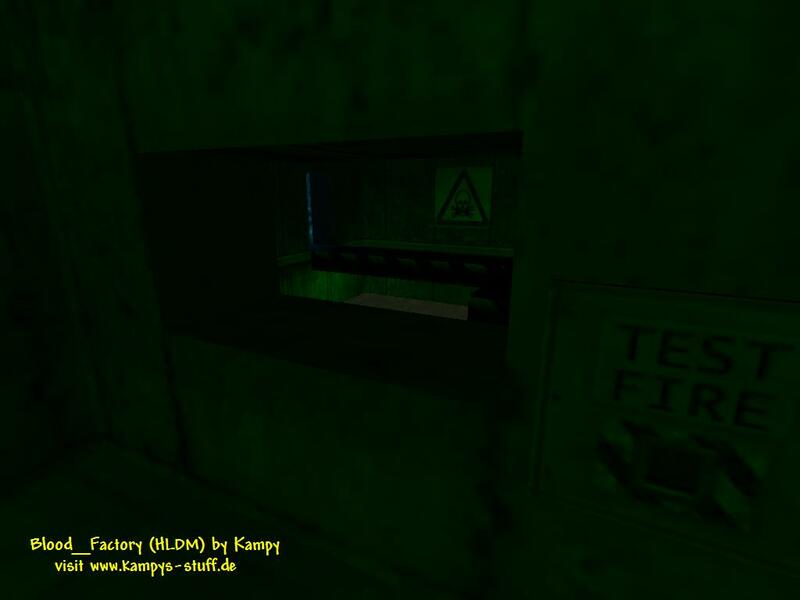 It uses very well known standard textures of Half-Life and has no special architecture in it. The basic construction is special about this map: there are different levels - the upper floor is the typical HL fifties style room with a beverage machine and some standard prefabs. 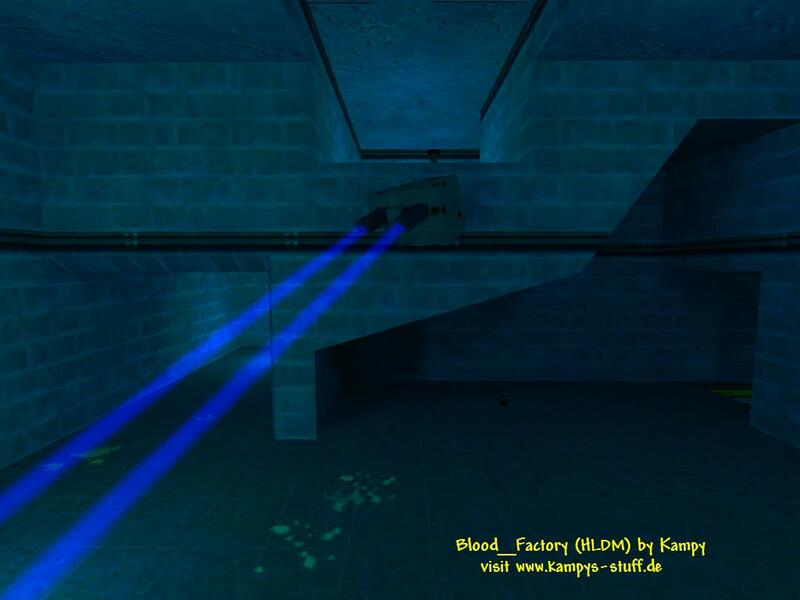 the middle floor uses crossfire wall textures and has a strong blue lighting and down the ladders there is a kind of dark green acid lake room with a bridge. There are some funny functions in the map like a lasercannon which can be turned on and off (but cant be moved) and a button which triggers an earthquake and makes the bridge over the acid lake collapse. The connectivity is alright, although you cant go more than backward and forward when you are at the top or at the bottom of this map. The weapon placement is balanced and heavy weapons are left out except for the gauss. I released this map for Counter-Strike as well - which was absolute rubbish in my opinion, but somehow (dont ask me) was this map a huge success and loads of people played it. 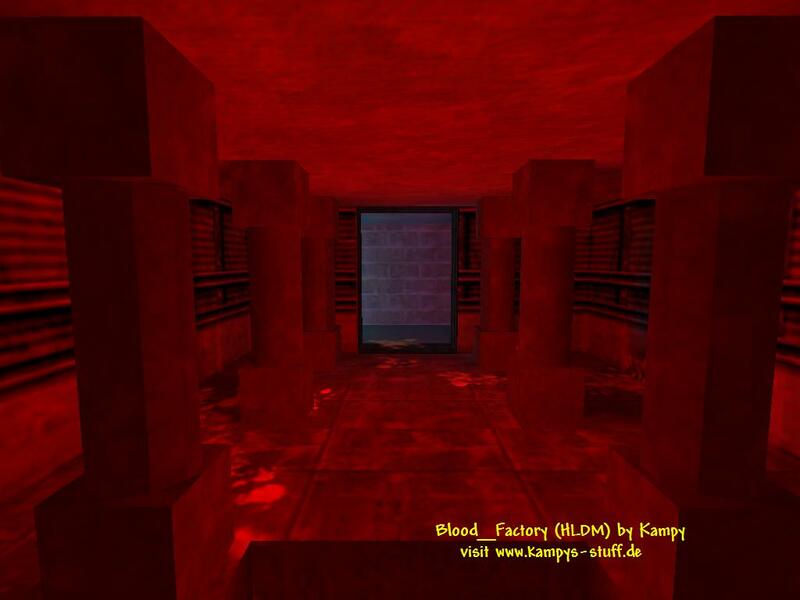 All in all I think blood_factory is an average map with no real bad points, but also no real great points. If you dont mind the plain outfit you might like this map. - in the small room where the gauss is, you will find a button which causes the bridge to collapse at a certain point. you can watch players going over the bridge through the small window.